Juicing weight loss recipes to the rescue. Ever consider that maybe your fat won't budge because it is stuck like glue to toxins in your body? Consider cleansing your body of these toxins by doing a healthy detox program. Not only will fat disappear fast, but you'll likely have increased energy, clearer skin and better mental clarity. Normally fast weight loss is considered unhealthy for good reasons, however a quality detox program is an exception. The book pictured in one good guide. You'll get a good start on this page with tips and also some selections from the Jack Lalanne Juicer Recipe collection. Have YOU ever followed a detox or nutritional cleanse program? Yes and I recommend it. Yes but I was disappointed. No but this sounds interesting. No and I would not detox. Toxins interfere with the immune system. We have to deal with toxins in addition to calories and exercise in order to reach and maintain a healthy weight and optimal health. There's no better way to deal with weight than nutritional cleansing. 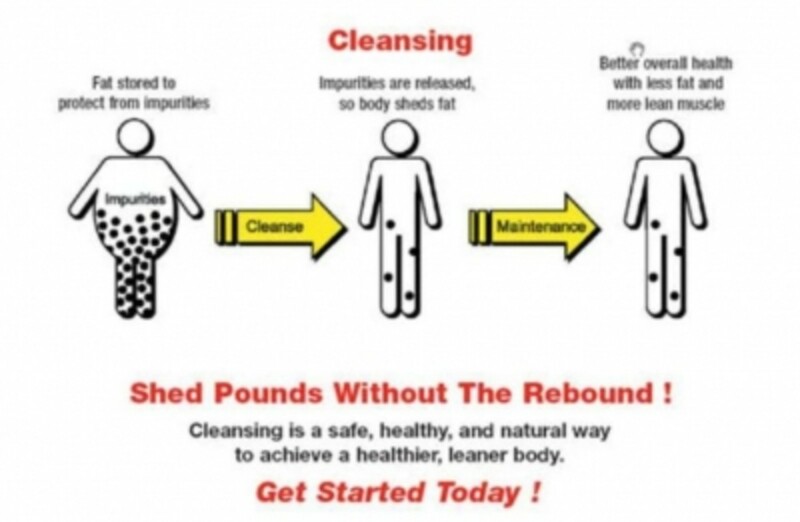 If you have never done a cleanse program, then it is likely that toxins have been building up in your body for decades (see the drawing below). Not only does this encourage weight gain, but these toxins interfere with your immune system. These toxins also make the body more vulnerable to disease. The toxins might even be interfering with your prescription medications, making them less effective. Toxins block weight loss and they also block the immune system from working like it should... and we ALL have toxins and impurities in our bodies just due to the environment we live in. A nutritional cleanse will rid the body of toxins. Consider a detox rather than a diet. Got greens? NO food is more loaded with nutrition than greens like kale, spinach, lettuce, and broccoli. If you make green drinks with your greens, this allows those healthy nutrients to go directly to the cells. This book explains that process further, along with tips and recipes to make daily green drinks simple. All detox programs are not the same. Some are even harmful. 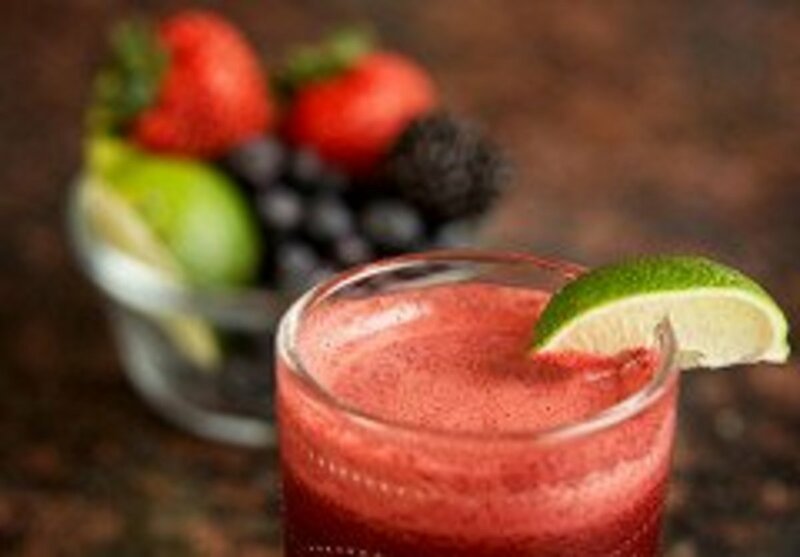 Stick with juicing weight loss recipes that flood the body with superfood potent nutrients. Detox programs have become popular. So all sorts of companies are now marketing detox programs, many being very dangerous to health. Same thing with vitamins, ever notice that there are now entire aisles full of vitamins now in stores? Wasn't the case even a decade or so ago. When a given type of product becomes popular, then companies come out of the woodwork marketing crap with fancy labels. Most vitamins are synthetic and do much more harm than good, but priced cheap and most consumers assume there's no difference. It's sad. So know that all detox programs are not created equal, that some won't work at all and that many are even harmful. Avoid the fasting programs or any 'detox program' that suggests eating only one type of food. You need a balance of essential nutrients, so to fast or otherwise deprive yourself of a balance of nutrients is NOT healthy. A good cleanse/detox program should FLOOD your body with nutrients, never deprive you of them. To rid the body of toxins and impurities through nutritional cleansing is maybe the MOST effective strategy for both weight loss and improving health. Fat cells stick to toxins like glue! We are bombarded daily with toxins through our environment. Our inner organs (liver, kidneys and skin) cannot keep up, so excess toxicity gets housed in fat cells and safely deposited on our midsection and other body parts. The weight you have on account of burning less calories than you consume is one thing, but if you reach a plateau or want to speed up the process and lose the weight that is attributed to fat cells housing toxins - that fat is next to impossible to diet away - it must be cleansed away! Detoxing in the traditional way is rather harsh on the body, mostly because it flushes some good along with the bad, usually without replacing those nutrients. Nutritional cleansing is a sustainable way of dealing with toxicity while at the same time flooding the body with essential nutrients. Grocery store food is not what it once was - we would need roughly 3000-4000 calories per day with today's food chain food to sustain us nutritionally, even given good choices! Mainstream Media and "Medical Research"
The health industry can be very confusing! So many conflicting reports, and yet all claim to be based on medical research. Consider that quality medical research is very expensive and time-consuming, yet some industries (pharmaceuticals) can afford a huge budget for research. Prime time television commercials are also very expensive, yet ads for pharmaceutical drugs are now common to the point of annoyance. 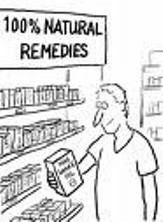 Much controversy exists over conventional medicine VS natural remedies. I believe a combination of the two is best, since there's a need and a place for both. Yet we all need to do our own research and then make the best personal decision we can. I know a nurse who says to 'always consider yourself your best second opinion' and agree 100%. Detox and a Liquid Diet? 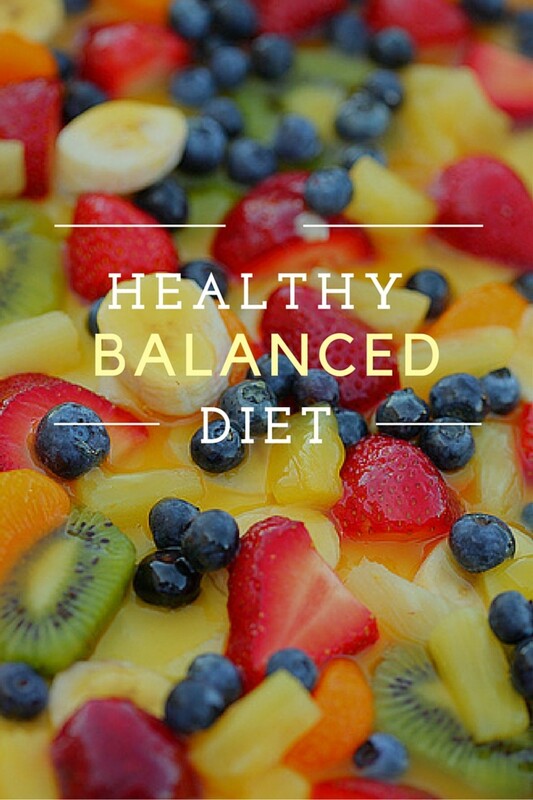 Balanced liquid nutrition can be MORE healthy than food. Juicing weight loss recipes provide nutrients that go directly to your cells. Some detox programs suggest a liquid only diet for a period of time, such as smoothies and other nutrition-filled liquids for a day or two. To those who might think only a liquid diet is unhealthy, I ask this..."Do we think of breast fed babies as unhealthy? Of course not, there couldn't BE better nutrition for an infant than mother's milk. In a similar way, a good detox program can supply just the right balance of vitamins and minerals needed in liquid form, and unlike most foods this liquid nutrition goes directly to our cells. If you cannot see yourself invested the time & money into creating your own healthy detox program (you CAN, but it is not necessary easy) then some of the pre-mixed detox products might be a good bet. Just choose carefully. Labels can be very misleading. Products appearing on this page are highly recommended. Do I Need to BUY a Detox Program? No, not really... but you might want to buy a juicer and invest some time in learning some juicing weight loss recipes. If you could eat only organic raw food like a strict vegan for a period of time, then I suppose you could mimic a detox/cleanse on your own. I know a few healthy folks who have done this... One used to be an alcoholic, then became a very disciplined vegan and actually told me that after a few weeks she felt SO incredibly wonderful that it was like she was high all the time, better than she ever felt with alcohol, and so much so that it first she found it overwhelming! Now she's totally 'hooked' on vegan and the gal is vibrant, never looked better! Those results are similar to what happens after a good nutritional cleanse. To create your own juicing weight loss recipes, the books below will be a BIG help. My personal favorite because it is small yet mighty. Perfect for preparing green drinks for one or two people, this NutriBullet is simple to use and versatile. It separates the greens from the pulp in minutes, delivering an easy green smoothie with very little effort. What is Real Life on a Detox Like? It depends on the plan, but likely you will eat very different foods for awhile and drink a lot of water. Some detox programs recommend a liquid only diet for a few days so you might miss the sensation of chewing food. You drink healthy shakes or green drinks as meal replacements that are loaded with balanced nutrition for most meals. To effectively detox, you WILL need to abstain from fast foods, coffee, alcohol and all other obviously unhealthy habits for a time. The hardest for me was coffee, since I got headaches from that lack of caffeine. So I'd sip a little bit of coffee (so I cheated) til the headache went away. Do not feel the need to be a perfectionist, for some efforts toward detox are a TON better than none. I cheated some (coffee) and even still felt MUCH better and lost an average of 9 pounds in about 10 days of doing the cleanse. Exercise helps of course, and will increase weight loss. In addition to the weight loss, I also noticed that my skin became clearer, had more energy and my mental clarity improved. Also my cravings for sweets (and coffee) decreased by a lot. Detox How To - "The Detox Solution" is very highly rated among resources for juicing weight loss recipes. Easy to understand and simple strategies to get started on your own detox journey from Dr. Patricia Fitzgerald. If you invest in just one resource about 'how to detox' in print, consider this one. 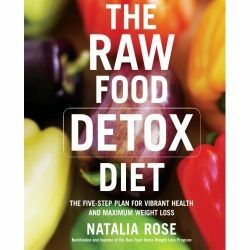 Go read the reviews on amazon from others who praise this very helpful book about solutions to many issues through detox. You'll likely want to refer back to this resource again and again. Diet VS Detox: Let's Debate! - YOUR Turn! Cleansing and detoxing the body in a healthy way is your best health insurance. If detox and weight loss are your goals, this resource is primo! A step-by-step simple plan to more vibrant health, a much stronger immune system and maximum weight loss. International best selling book written by nutritionists helps us to understand that it's not just about WHAT we eat but WHEN and in what combinations. They suggest a period of time daily when we eat ONLY fruit and/or vegetables. This helps our bodies recover and release toxins as well as excess fat. Can you see yourself consuming only fruit and vegetables until noon daily? It may be a bit of a change but WELL worth it. "Fit for Life" is a classic reliable plan for weight loss, maintenance and daily detox. For this one, you do not even need to use a juicer. Just limit your intake to only fruit and veggies for a period of time daily. Youth is a gift. Age is an art. Let's START! Any new habits toward detox are good. Do NOT feel like it has to be all or nothing. Even planning to start having one smoothie meal replacement daily is a great start! Detox with a Smoothie Mix Daily - An alternative to using raw fruit and vegetables for juicing weight loss recipes . Few people eat healthy enough to avoid toxic overloads. Doing so would require a huge investment in both time and money to plan and buy the right organically-grown non GMO (genetically modified) foods, and then research to get the right balance of vitamins and minerals. Many of us are just too busy and don't have the time nor the inclination to consider such a time commitment. When that exact balance of nutrients can be provided in a quick shake made in a blender, to me that's a no-brainer. This is a great product for a daily liquid nutrition smoothie. I drink at least one daily and mix in whatever fresh fruit I have on hand. The 'Amazing Grass' is a reliable brand to be organic, non GMO and gluten free. They have a fine line of quality nutritional products. Jack Lalanne juicer and the Nutri Bullet. Of all the brands and types of juicers available, this Jack LaLanne Power Juicer has long been a favorite. 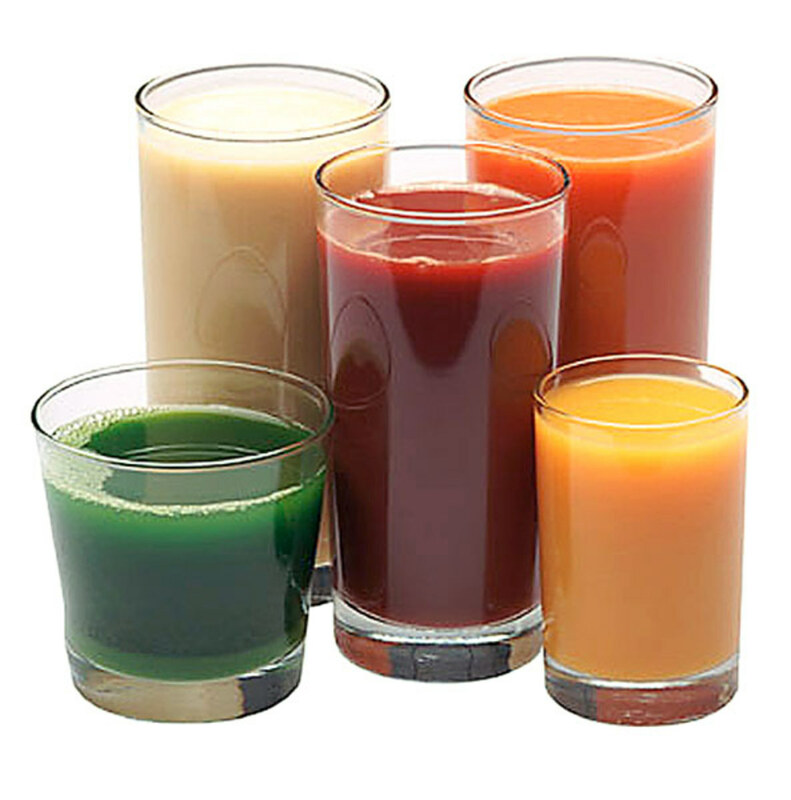 It is best to serve these juices immediately, since the vitamin potency is most nutritious when freshly squeezed. Bananas will clog a juicing machine, so better to add those last in a blender. A juicer is not the same as a blender, a power juicer doe not make smoothies, just the juice for your smoothies. Wash all fruits and DO use the pulp. Freeze extra pulp in freezer safe bags, but for no longer than a month. Mango Raspberry Rush 1/2 cup mango juice, 1/3 cup raspberry juice, 2 large bananas, 1 tsp each raspberry and mango pulp. Pineapple Raspberry Sorbet 1/4 cup pulp, 1/4 cup raspberry pulp/juice combo. Mix well and freeze. Orange Passion Fruit Sorbet 1 cup fresh orange juice, 6 passion fruits (minus shell). Scoop out inner passion fruit snd pslace in juicer. Mix well and freeze. Fresh Melon Sorbet 1/4 cup each of watermelon, cantaloupe and honeydew pulp. 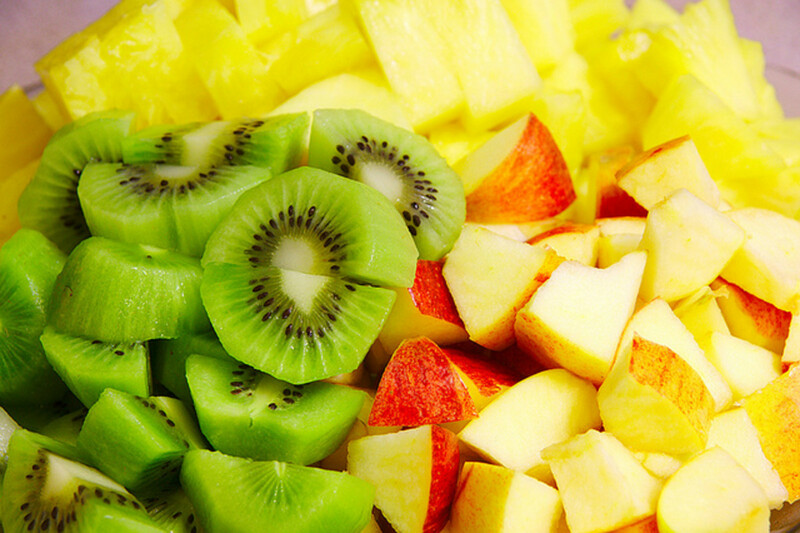 Mix with 1 tablespoon each of juice from the same three fruits. Freeze. Maybe you body craves the benefits in nutritional cleansing, think? In the end it is your decision whether to consider a cleansing detox program. I hope you choose to release the toxins and impurities hidden in your body and then see what a difference that can make... not only with weight loss but also to restore vibrant health and resistance to disease. If you need to take prescription medications, many people find that their meds are more effective after a cleanse as well. It makes sense when you consider that not only has the immune system been recharged, but the meds don't have to squeeze their way through toxins to do what they are prescribed to do. Do YOU detox? Join the discussion below. 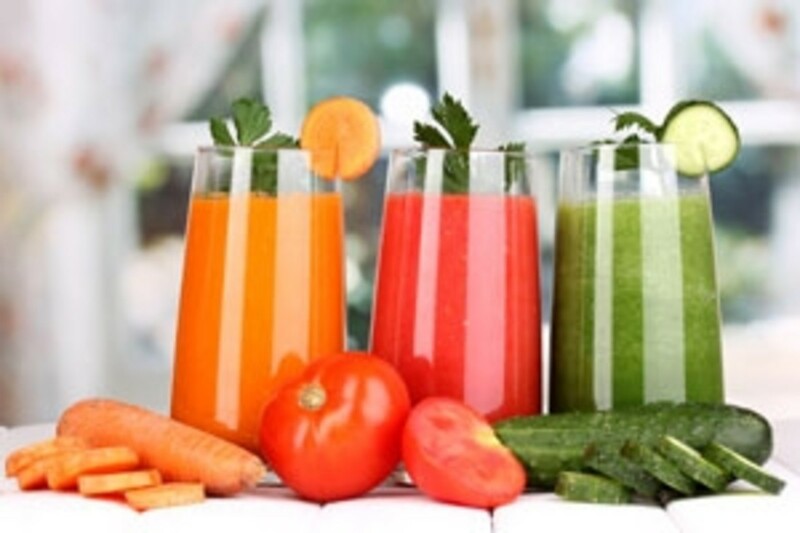 Detox & Cleanse Feedback - Find some good juicing weight loss recipes, idea and info? Please shout out! I prefer sustained good eating habits and exercise - but not always easy to do. Thank you for dedicating a lens to a subject that I am passionate about. Great to get this info out there for people.